Some things are imminent — and we anticipate them accordingly. Just like how we know to change our clocks twice a year, when April 15 rolls around, we know that tax returns are due. What if you’re nearing the big tax deadline and could use a bit more time? The good news is that you can request a six-month extension to file your taxes. While it’s commonly known that you can request an extension, there are some misconceptions floating about the process. We reached out to experts to share 10 beliefs that are flat-out wrong about extending the deadline to file your tax returns. Droppin' some truth bombs ahead. 1. When you file an extension, it also extends your time to pay. Just because you file an extension doesn’t take you off the hook for paying on time. “No matter when you file — extended or early — you must pay your tax bill by April 15,” explains Eric J. Nisall, a personal finance and tax expert, and founder of AccountLancer. If you don't make your full tax payment on time, then interest and failure-to-pay penalties will be levied against you, adds Katherine Pomerantz, founder of The Bookkeeping Artist. “However, you can avoid the failure-to-pay penalty if you pay 90 percent of your tax owed, file an extension, and pay the remainder by the six-month extension date,” says Pomerantz. Bottom line: The extension is for more time, not for an extension on paying your taxes. 2. Filing an extension requires a good excuse. You don’t need a tale of hardship or some disastrous event that waylaid your well-intended plans to file on time to get an extension. You don’t even need to give a reason. All you have to do is send the form in with your name, Social Security number, and boom! You’re set. “No one is going to call or send you a letter asking why you want the extension,” says Nisall. 3. Extension requests are hard. Nor is it very difficult to do. 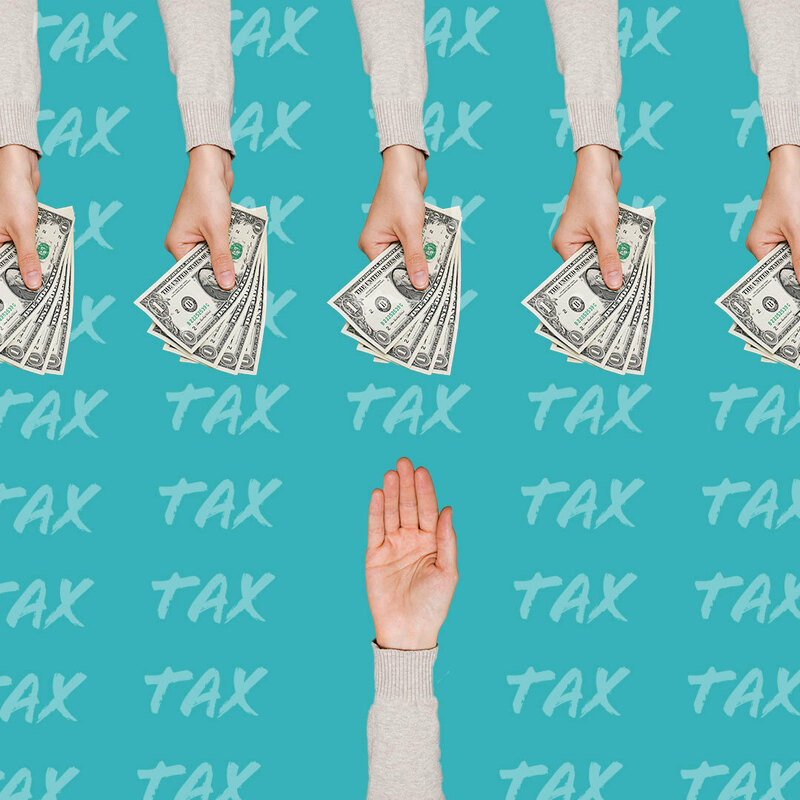 "Many new taxpayers believe that filing an extension for their tax return is some arduous process,” says Logan Allec, CPA, and owner of the personal finance site Money Done Right. You can file an extension within a matter of minutes. Just use one of the IRS-approved, tax software companies, such as the “free file” versions of H&R Block, TaxSlayer or TaxAct®. 4. You have to wait for your extension to be approved. There’s no waiting period to receive an “a-okay” for your extension. You don't have to wait to find out if you have been "accepted for extension.” “The form is for an ‘automatic extension,’ so as long as you have it postmarked or time-stamped by April 15, you're good,” says Nisall. 5. You can stack extensions. While filing an extension is neither hard nor requires a lengthy excuse, you’re only granted one six-month extension. “There’s no such thing as "stacking" extensions,” says Nisall. He further explains: So you can't get a six-month extension until October 15, then file another one to extend the filing period another six months, bumping your extension to April 15 of the following year. If you don’t file by the time October 15 rolls around, you’ll be dinged with late-filing penalties. 6. It boosts your odds of being audited. Nope. Filing an extension doesn’t have anything to do with an audit. As Nisall explains, some of the things that would up your chances of an audit are filing a Schedule C, having income above certain levels, or bearing expenses that exceed certain ratios. 7. If you can't pay your taxes right now, then it's better not to file at all. It’s always better to file an extension because there are actually three types of penalties on late tax payments, says Katherine Pomerantz, owner of The Bookkeeping Artist. First, you could owe interest fees accrued on any tax you owe. Second, there is failure-to-pay penalty. Third, there is a penalty when you fail to file. 8. If you owe money, there's no way to avoid huge penalties. This is sort-of true. You can avoid failure-to-pay and failure-to-file penalties if you can demonstrate a reasonable cause for not filing or paying on time, explains Pomerantz. She further points out: Your total penalties and interest is also based on a percentage of your tax owed. Filing an extension may grant you some breathing room to find a strategic tax preparer to help you maximize your deduction and reduce the amount of tax you owe — and the amount used to calculate your late fees. 9. If you don't owe money, then you don't have to file. Many people think that if they don't owe taxes, then the IRS will not be anxious to track them down and force them pay up. “True, at the federal level the IRS is pretty busy, but at the state level it is more common to have annual fees that can't be avoided,” says Pomerantz. “Just because you'll avoid penalties with the IRS does not mean you will with your state!" Make sure you double-check your filing requirements at home as well. 10. You don't have to extend your state return. Many people assume that the only extension they have to file is their federal extension, adds Allec. No action needed. You could be right. Some states, such as California and Idaho, automatically extend taxpayers' state returns with no action further required whatsoever. “So even if you forget to file your federal extension, your state return will still be extended,” says Allec. Other states — such as New Jersey and Pennsylvania — automatically extend your state returns once you’ve filed an accepted federal extension. If you’re not filing a federal extension for whatever reason, you will need to file a separate extension with the state. Examples are New York, North Carolina, and Vermont. So don’t assume. Check. You’ll want to make sure you’re covered for an extension at both the state and federal levels. The tax gods are forgiving when it comes to filing your taxes on time. And the more you know, the less tax-extension blunders you’ll likely to commit. Plus, the act of asking for a six-month extension won’t seem so scary or confusing.